Since 1999 we have been accompanying our customers to discover a kitchen that has fallen in the seasonality of our territory, attentive to the products offered by our region and the result of a research aimed at creating a symbiosis between innovation and simplicity. 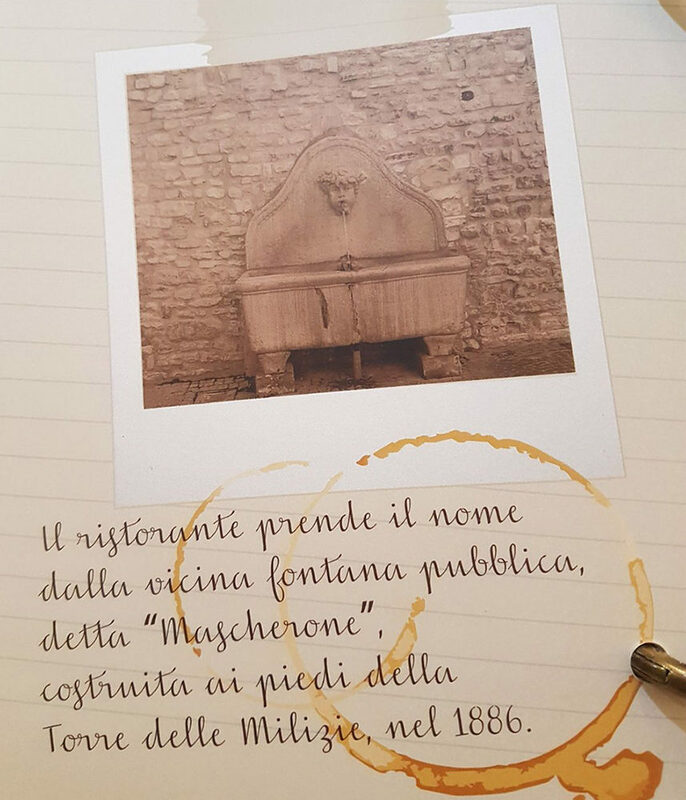 the restaurant takes its name from the nearby public fountain, called “Mascherone”, built at the foot of the Torre delle Milizie in 1886. 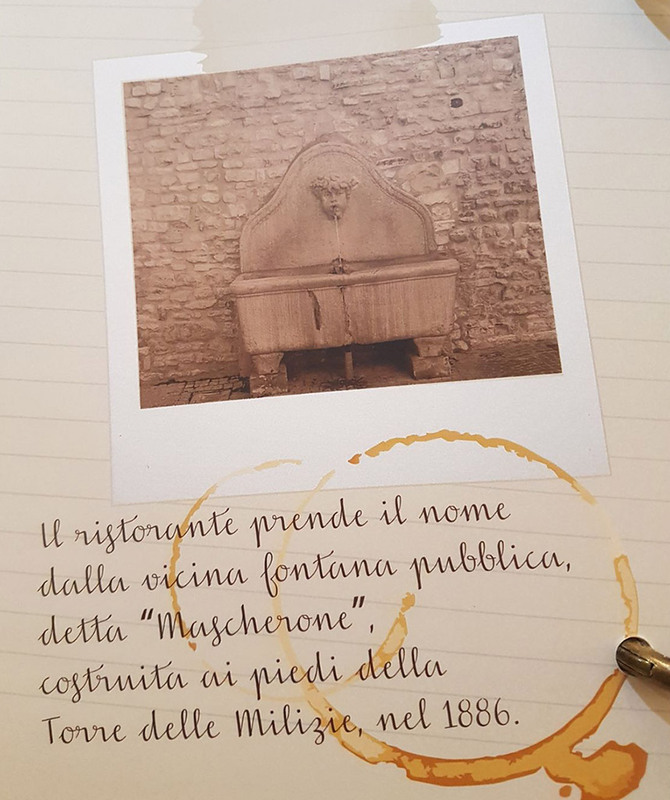 At Mascaron, the tradition of Urbino and Montefeltro is celebrated. You can taste the bovine tripe, the lamb in the oven, beans with pork rind and many other traditional dishes. Our journey into the constellation of flavors and raw materials of excellence, ending in homemade cakes accompanied with the sour cherries wine. 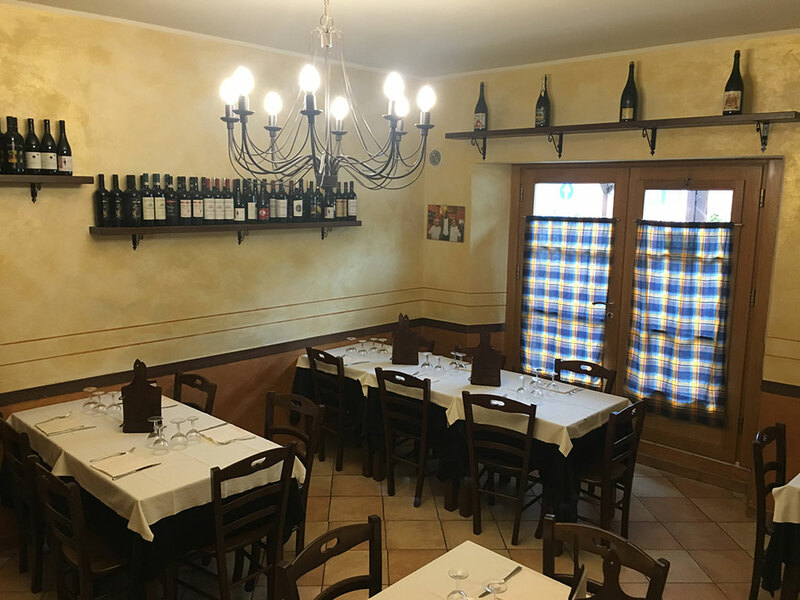 Located in the historic center of the country of Fermignano, the property has two rooms furnished with modern taste with a capacity of about 70 seats and in summer there is an external structure, with 40 seats. Ideal place for business lunches and dinners, birthday parties, graduations. 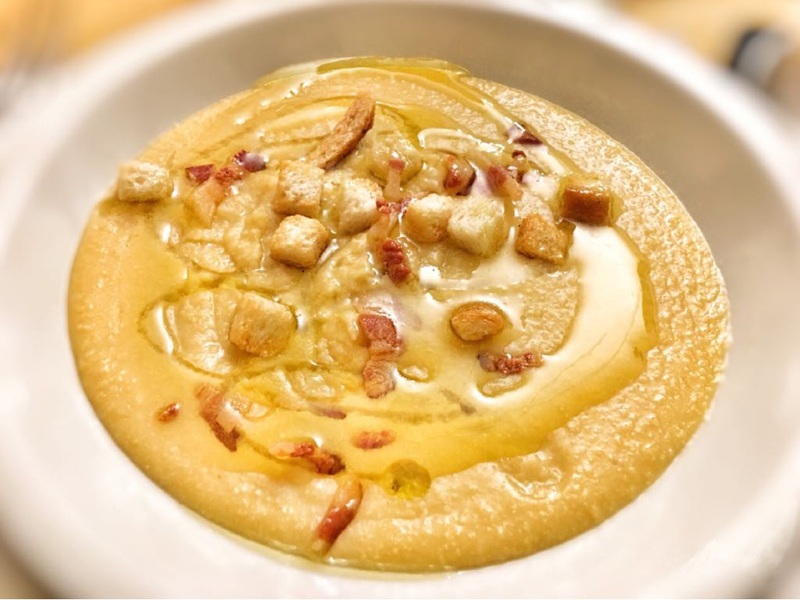 El Mascaron is the place where the best raw materials are combined with taste, where each ingredient is exalted with skill and passion to create balanced and never banal dishes. 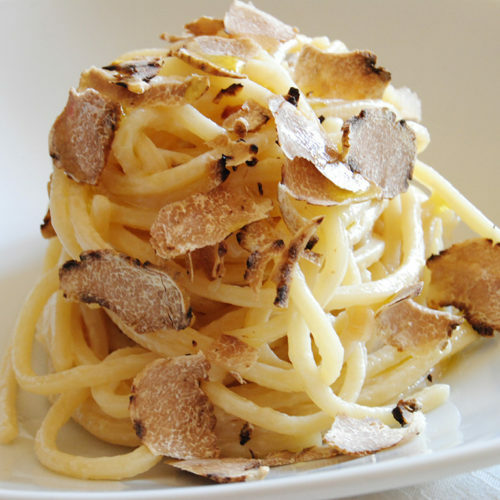 The restaurant offers a menu with a wide variety of dishes. 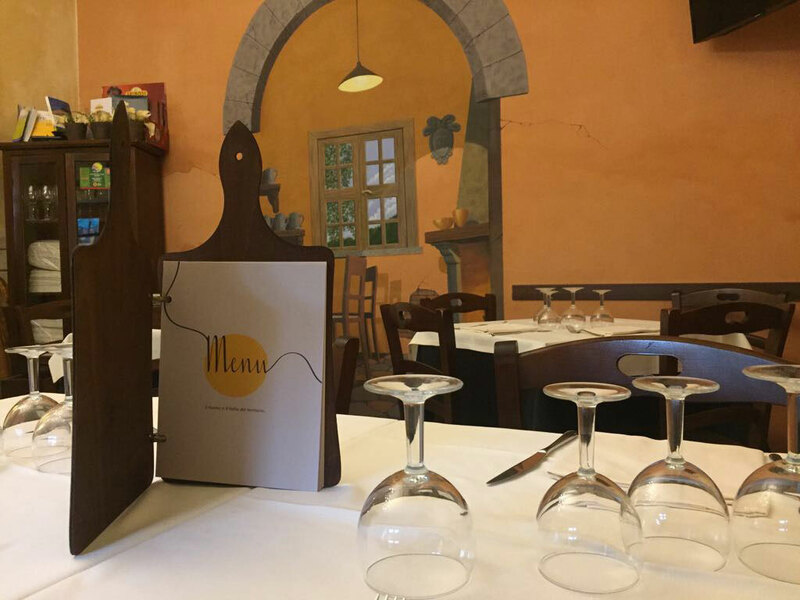 We pay great attention to the choice of raw materials and seasonality of products, and we renew our menu monthly in order to guarantee the flavor and genuineness of the dishes. l IGP Marchigiana Breed Cattle, the Suino della Marca bred in a semi-wild state, stone-ground flours, often from ancient and organic grains to donate to egg pasta, pizza cooked in a wood oven and even homemade desserts , forgotten flavors and aromas. 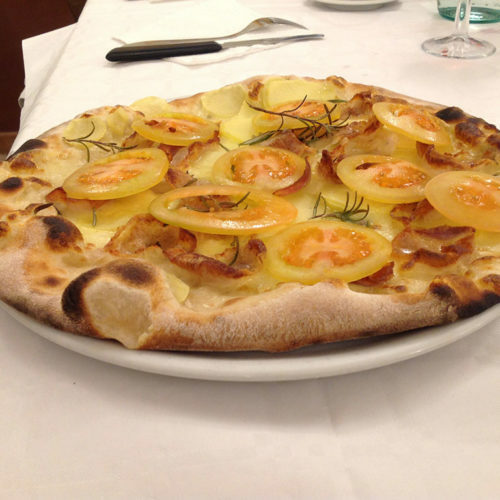 The cheeses are the fruit of small quality productions, from fresh pecorino cheese to pecorino di fossa, carefully selected and accompanied by crescia sfogliata and combined with jams, honey or sauces; and our selection of over 100 pizzas whose ingredients are always fresh and of excellent quality. This excellence of raw materials is interpreted in the kitchen both in a traditional way and in a more creative way, but always respecting the Marche roots. 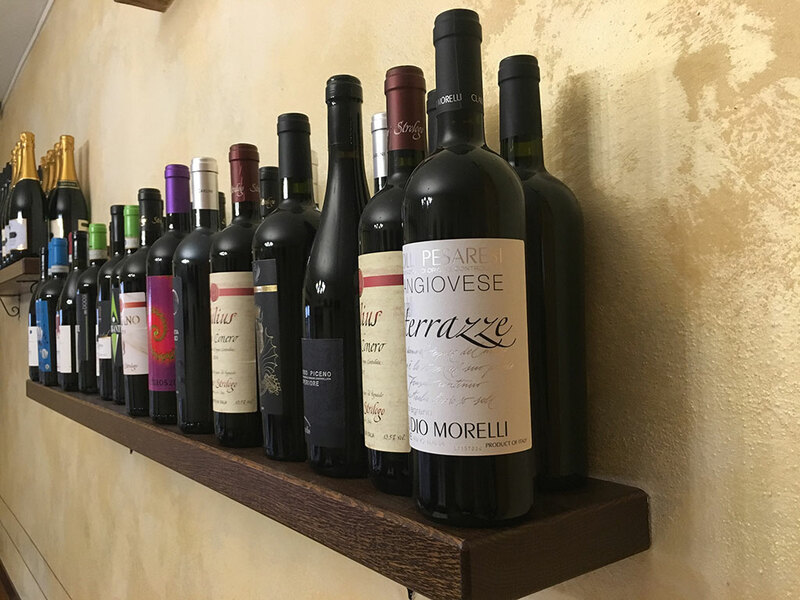 In our restaurant we have a discrete cellar where you can find a selection of local and national labels, as well as significant niche productions, of emerging producers. 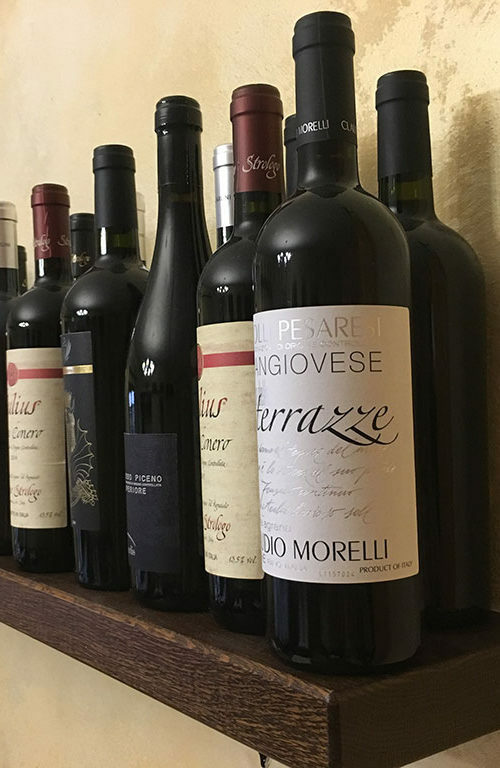 Here you can taste from the Sangiovese dei Colli Pesaresi to Rosso Conero Riserva, from Lacrima di Morro d’Alba to Rosso Piceno Superiore, from Bianchello to Verdicchio dei Castelli di Jesi. All oenological expressions that will make you appreciate even more our territory, and its variety of perfumes from the perfect pairings with our dishes. The craft beers are mainly from our province, but we also offer excellent beers made with raw materials and selected Italian grains from Slow Food. 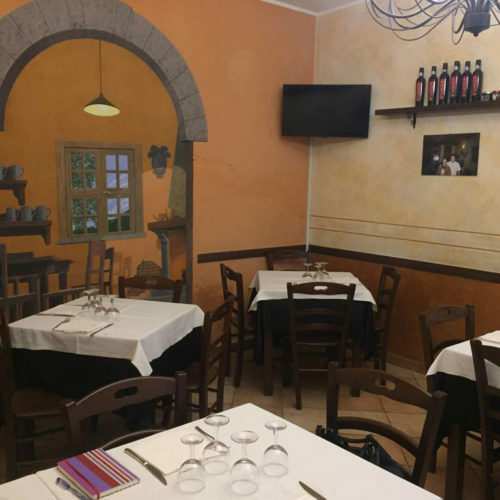 The El Mascaron pizzeria restaurant has the main target to satisfy the customer’s highest standards through home-made specialties and fresh and genuine ingredients. 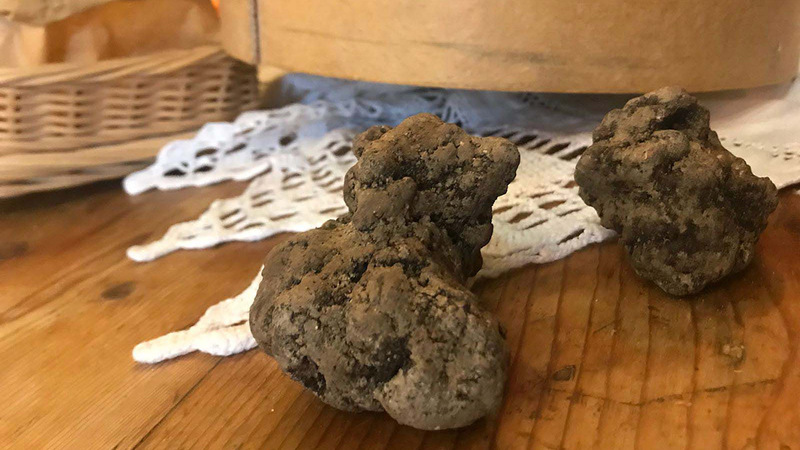 The truffle is one of the most appreciated and well-known typical products of the Marches, its aroma is intense, penetrating and particularly appreciated by gourmets of all time and all over the world. 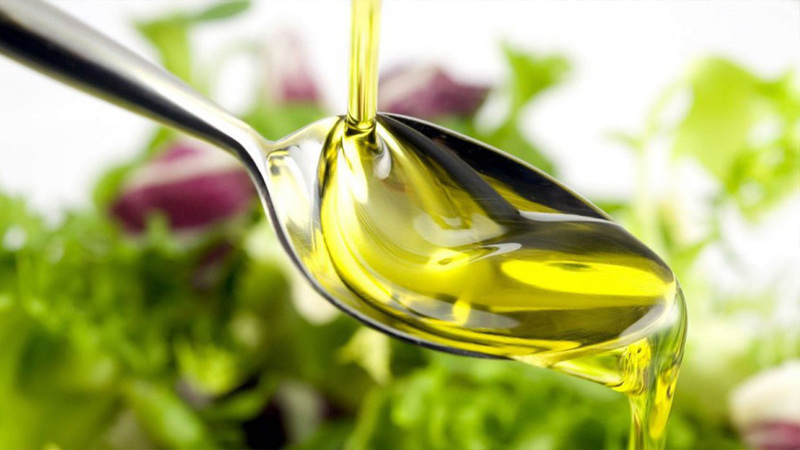 An irreplaceable ingredient in our kitchen, we mainly use the DOP of Cartoceto Baldarelli Palazzi, replacing it sometimes with other precious oils depending on the recipes and the aromas sought. I.G.P. certified meat “Vitellone Bianco dell’Appennino Centrale”, thanks to rigorous controls and nutrition according to the old tradition, are distinguished by taste, tenderness and quality. 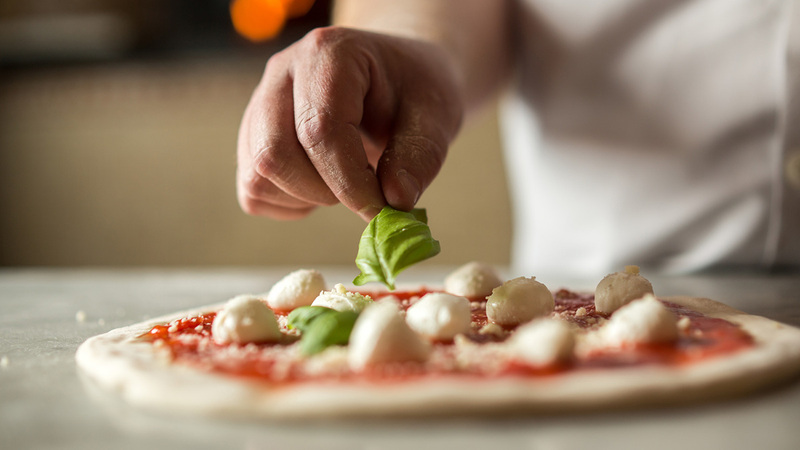 Over 100 leavened pizzas from 24 to 72 hours, made with stone-ground flour, mother yeast, 100% marchigiana fiordilatte mozzarella and carefully selected Italian tomato. 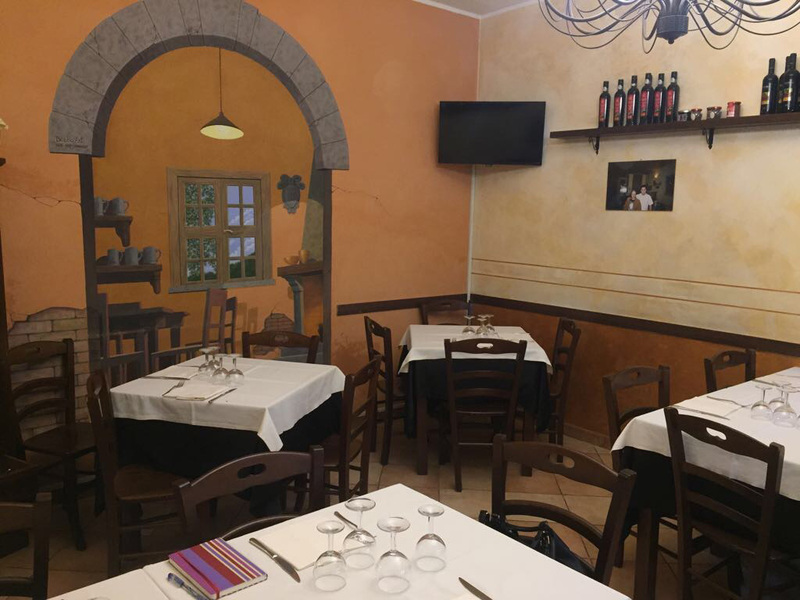 © 2019 El Mascaron - Ristorante e pizzeria a Fermignano. Il tagliere di salumi e formaggi è il classico antipasto molto goloso e apprezzato per la sua vastità di prodotti e per gli innumerevoli sapori che propone. 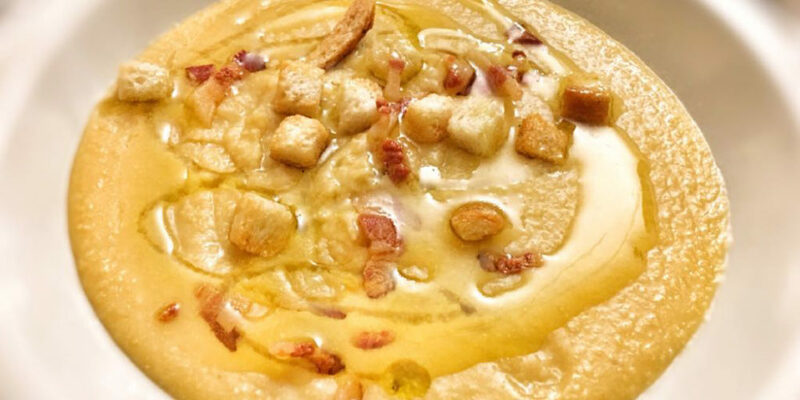 Una vasta scelta fra salame, prosciutto, lonza e ancora una varietà golosa di formaggi, a pasta dura o a pasta molle accompagnati dalla crescia sfogliata si alternano a sfiziosi abbinamenti di marmellate miele, o salse. 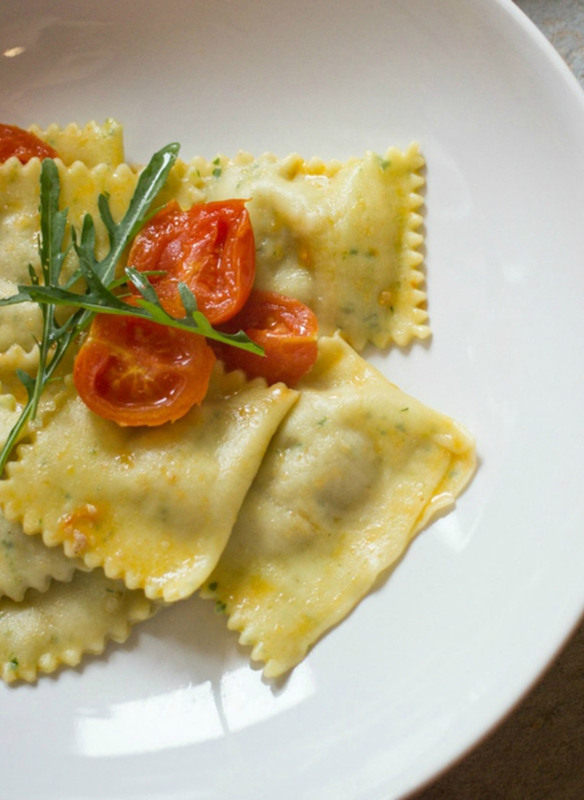 La nostra pasta è fatta in casa con farine selezionate e uova a km 0 ma, soprattutto, tirata al matterello come vuole la tradizione. 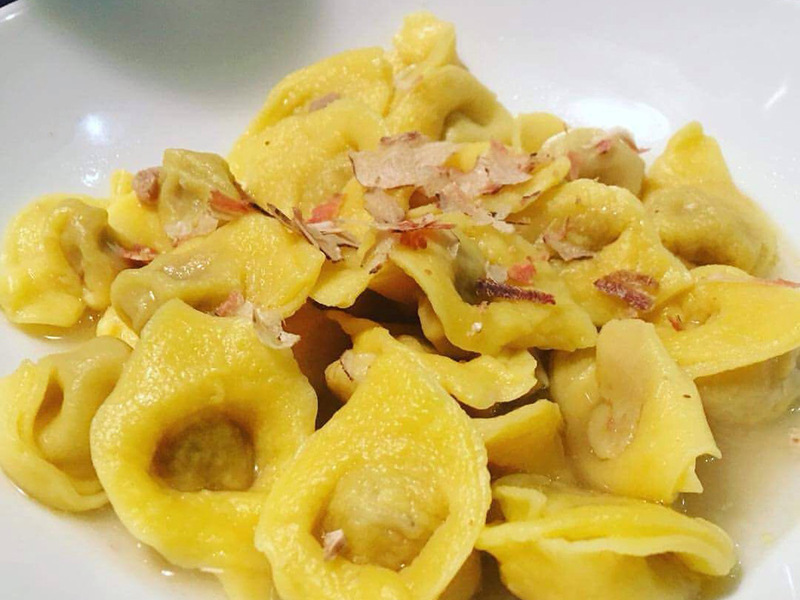 – Cappelletti e Passatelli, da degustare in brodo di cappone o asciutti. Su prenotazione prepariamo anche piatti di pesce. Le nostri carni derivano da allevamenti locali e biologici. 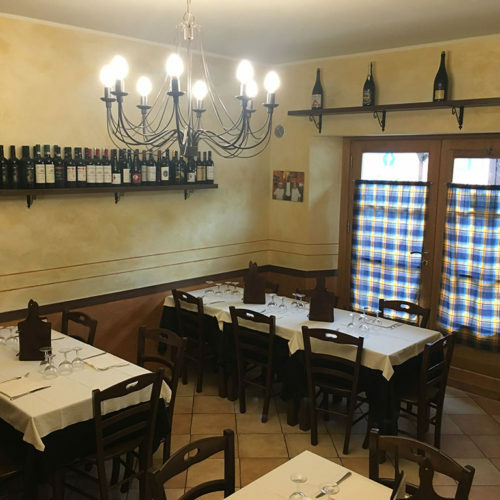 Lasciatevi tentare dalla bistecca e tagliata di carne di razza Marchigiana Igp alla griglia e dalla grigliata mista con carne di suino della Marca allevato allo stato semibrado. Durante le feste natalizie o pasquali (o su prenotazione) prepariamo anche coniglio in porchetta, faraona con cipolline e olive in agrodolce, agnello al forno e piccione ripieno, iltutto cotto rigorosamente nel forno a legna e servito con contorni stagionali. Abbiamo in menù più di 100 pizze. 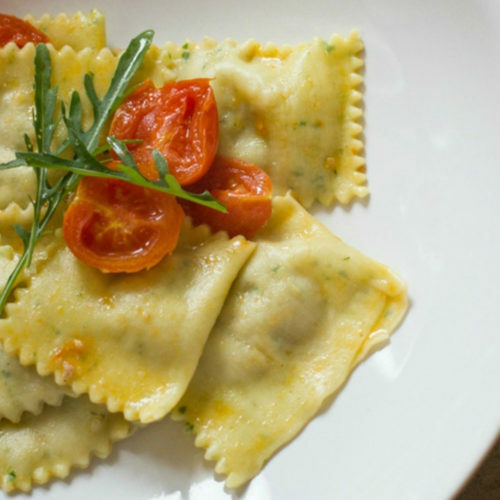 L’impasto viene fatto lievitare dalle 24 alle 72 ore, e viene realizzato confarina macinata a pietra,lievito madre, mozzarella fiordilatte 100% marchigiana e pomodoro italiano accuratamente selezionato. Per gli impasti speciali siamo sempre alla ricerca di grani antichi e biologici. 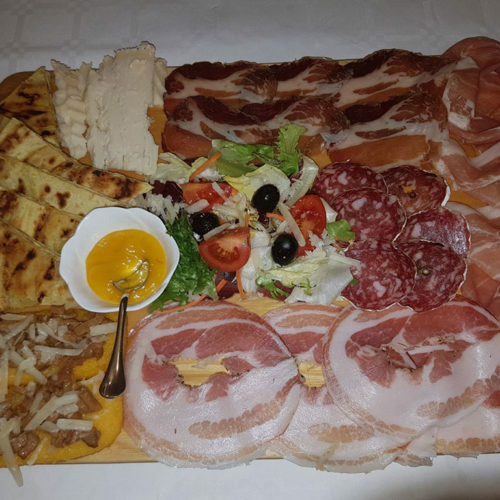 The platter of cured meats and cheeses is the classic appetizer very greedy and appreciated for its vastness of products and for the innumerable flavors that it offers. 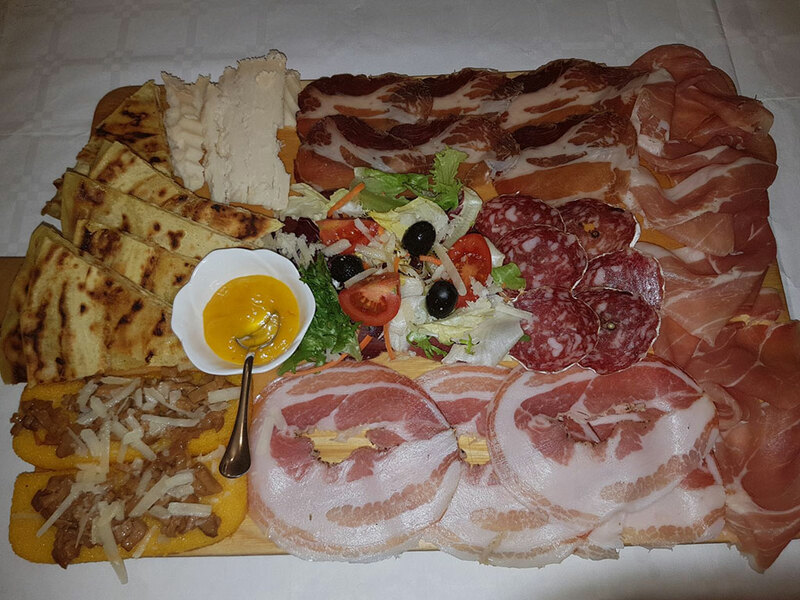 A wide selection of salami, ham, loin and a delicious variety of cheeses, hard or soft pasta accompanied by crescia sfogliata alternate with delicious combinations of honey jams, or sauces. 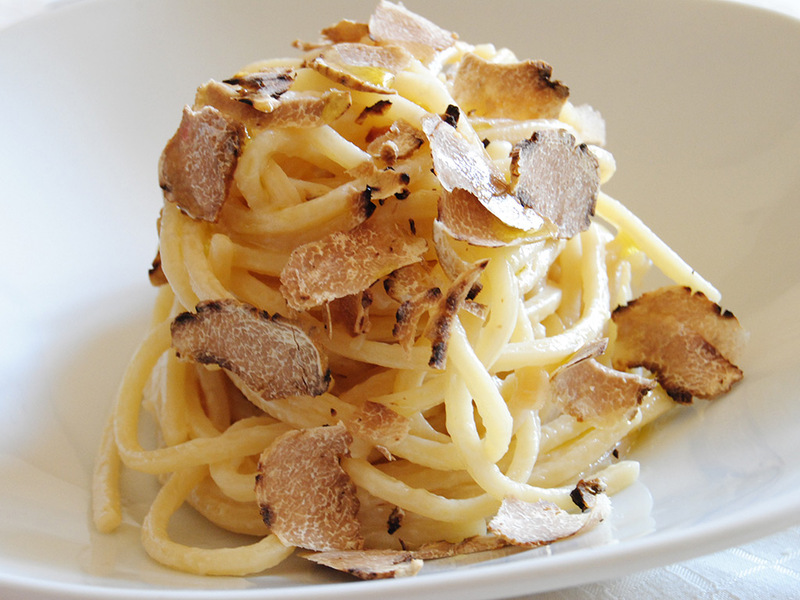 Our pasta is made at home with selected flours and 0 km eggs but, above all, pulled with a rolling pin as tradition dictates. 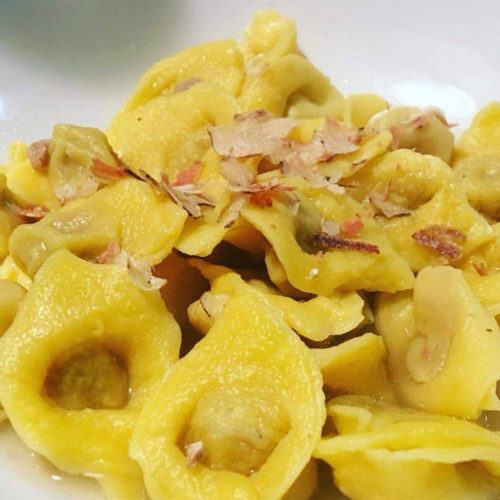 – Cappelletti and Passatelli, to taste in capon broth or dry. On reservation we also prepare fish dishes. 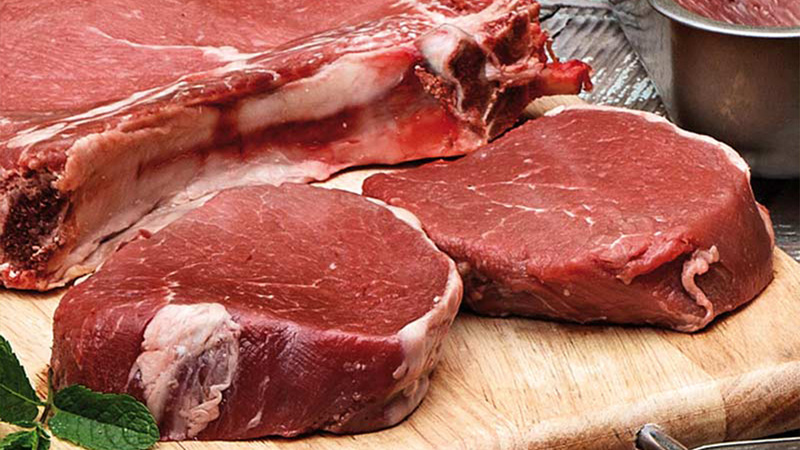 Our meats come from local and organic farms. Let yourself be tempted by the steak and cut of grilled Marchigiana IGP meat and grilled mixed with pork from the brand bred in a semi-wild state. 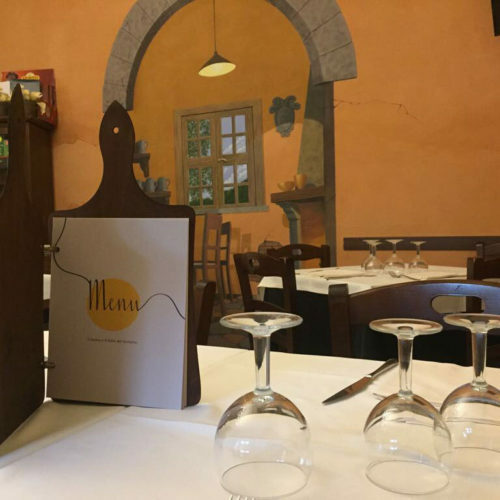 During Christmas or Easter (or by reservation) we also prepare rabbit in porchetta, guinea fowl with onions and olives in sweet and sour, baked lamb and stuffed pigeon, all cooked strictly in a wood oven and served with seasonal side dishes. We have more than 100 pizzas on the menu. 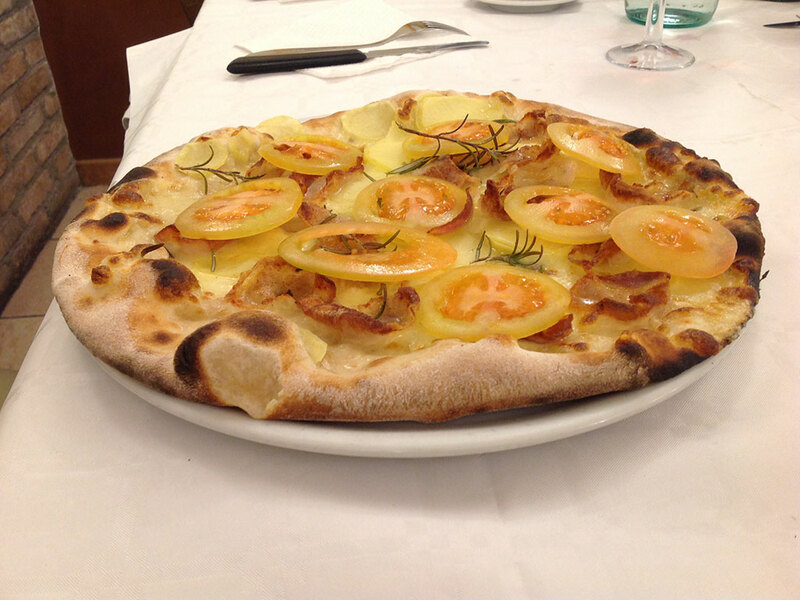 The dough is left to rise for 24 to 72 hours, and is made with stone-ground flour, mother yeast, 100% marchigiana fiordilatte mozzarella and carefully selected Italian tomato. For special doughs we are always looking for ancient and organic grains.